It’s a crazy good Lent going on at our house this year. 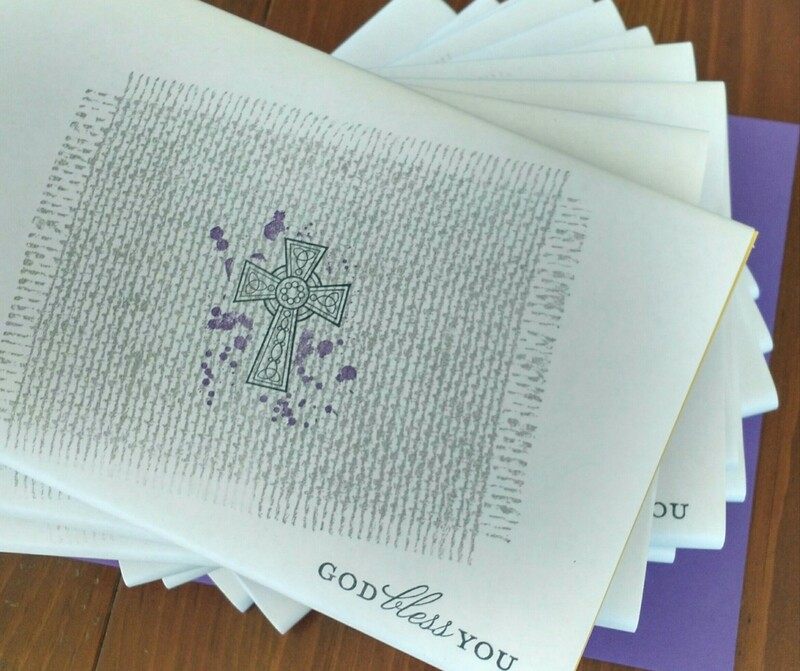 If Lent is part of your life, I hope it’s bringing the changes you want to see! So, this was my first try with the new Florentine Filigree set and I love the soft “old-fashioned” look. 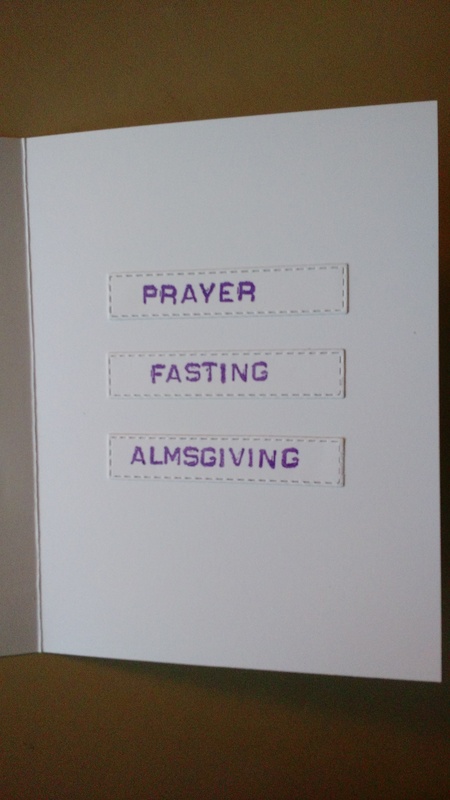 I changed the sentiment, replacing “you” with “God”…the card is for the Sisters at the hermitage where I am an Oblate. We’re taking some of the Scouts to the hermitage this weekend to do some service work. Can’t wait, it’s such a beautiful and peaceful spot. (100 acres of land). Have a great weekend! P.S. As of this post, I only have 2% space allowed left on this free blog. Not sure what to do next…I’m not good with technology! Any ideas? If you have time to play with it, have fun! 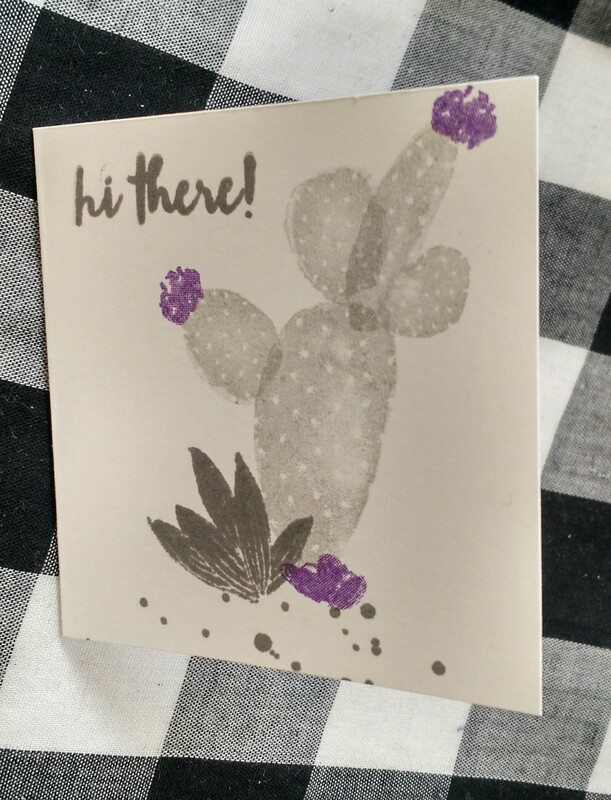 I love the new Flowering Desert stamp set! For me, it’s perfect for this season of Lent, where I go “into the desert” for 40 days. 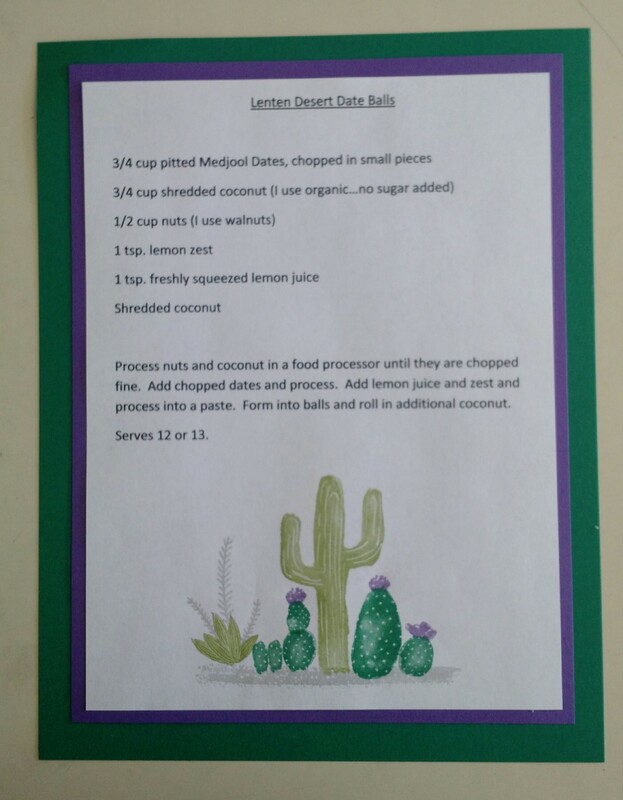 Last night my women’s study group started back up for another 8 weeks and I made this recipe card to go with the refreshments. I found the layout over at Song of my Heart Stampers, since I wasn’t too sure what to do with all the little pieces. For the desert floor I used the old Work of Art stamp set. I was so happy to see our group back together after a long winter break and I wanted to give them a little Lenten gift. They each received a book, with homemade wrapping paper. 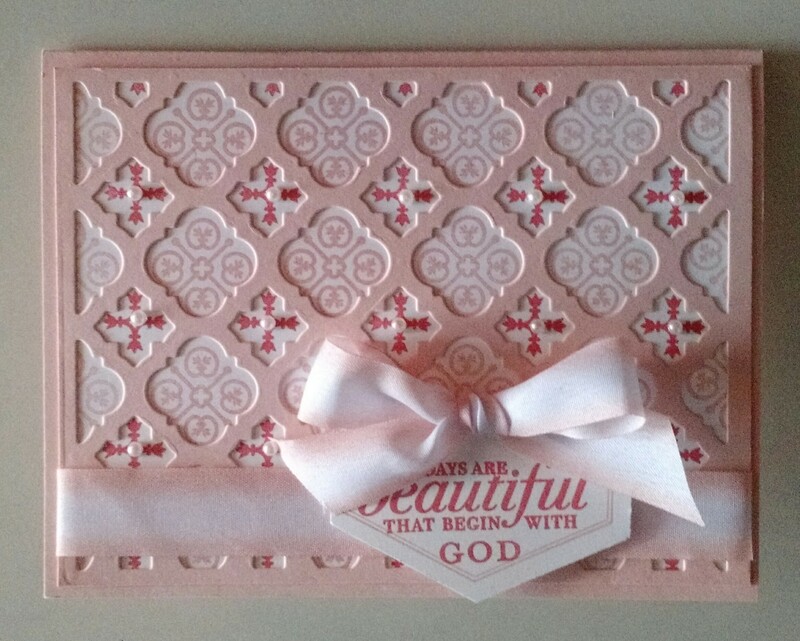 I masked the cross and then stamped the Gorgeous Grunge paint platters. Hi, and Peace, Stamping Friends! 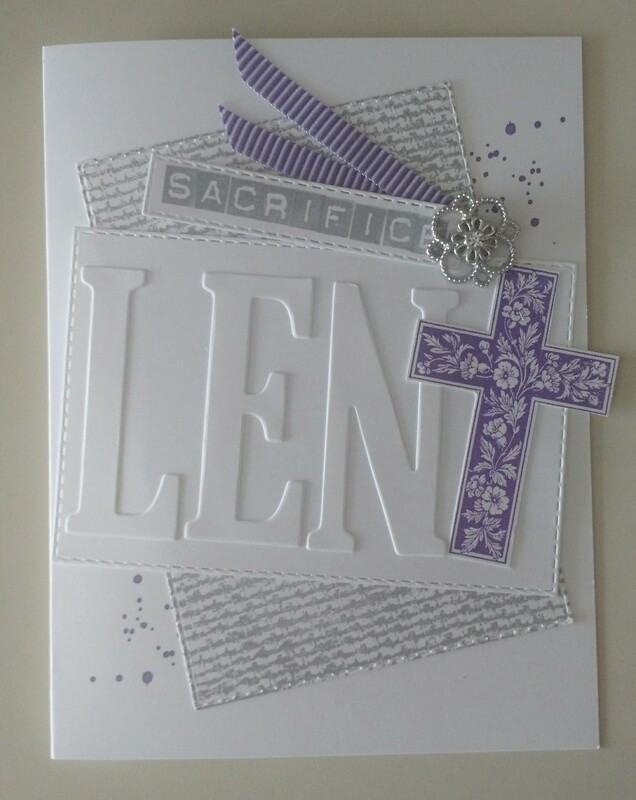 For those that practice the exercise of Lent, I hope it is going well! So far so good here at the MacKay home, but after a week into it, there are some things we are definitely missing! We are looking forward to Sunday, a “mini-Easter”, when we will allow ourselves the day off! 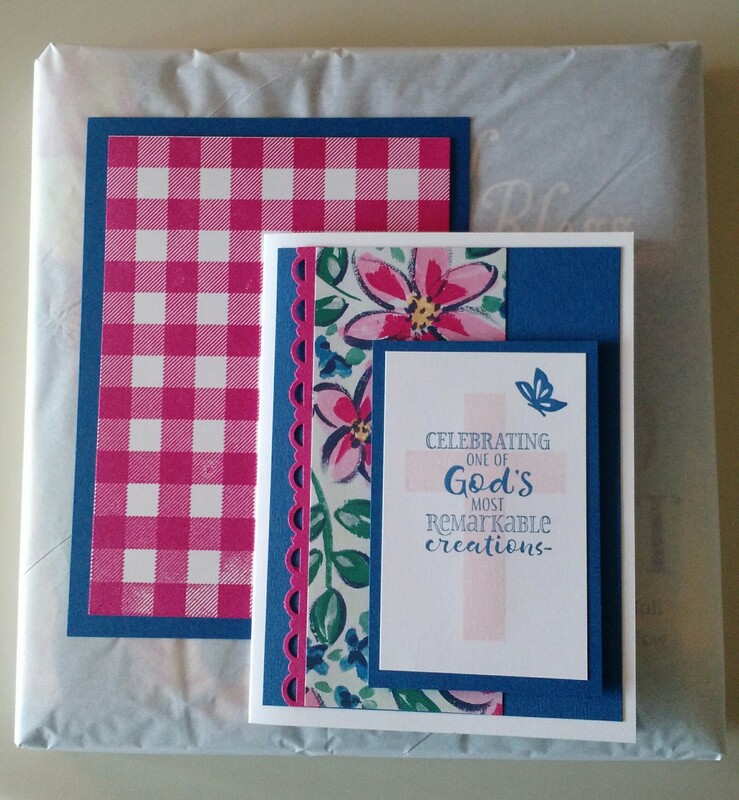 And speaking of Easter, I made some of these cute Easter cards this morning with the new “Fable Friends” stamp set and the Stitched Labels Framelits. As for the “fun fold”, one of our stamping friends brought this fold to me at our last stamping class and I tried to recreate it. Start with a 12″ x 4″ piece of cardstock. Score at 2′, 4′, 8″ and 10″. Then using the diagonal score plate, score and “x” from 2″ to 6″ and from 6″ to 8″. Fold in the “x”‘s so that everything is under the diamond in the middle. It sounds complicated but it really is very easy once you do it. I practiced with computer paper first. The yellow square in the middle is 2 3/4″ x 2 3/4”. While I had everything out, I decided to make a purple version for friend Becky, who was diagnosed with pancreatic cancer at Christmas. Thank you for your prayers for her! On Monday she had a CT scan and the spots on her liver are gone, the spot on her peritoneum is gone and the mass on her pancreas has shrunk. She asked that we keep praying! 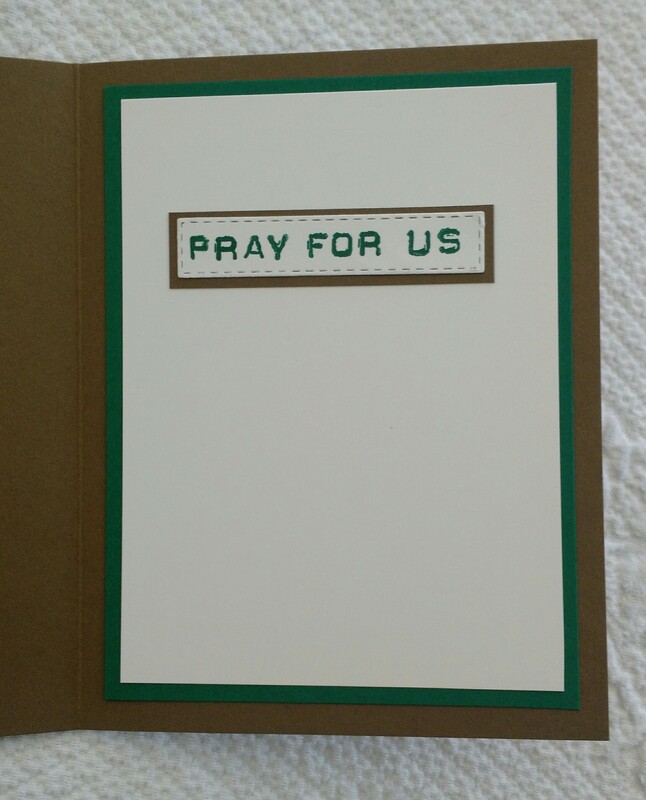 This is a card that I cased from crafty-rootes.com on the internet. 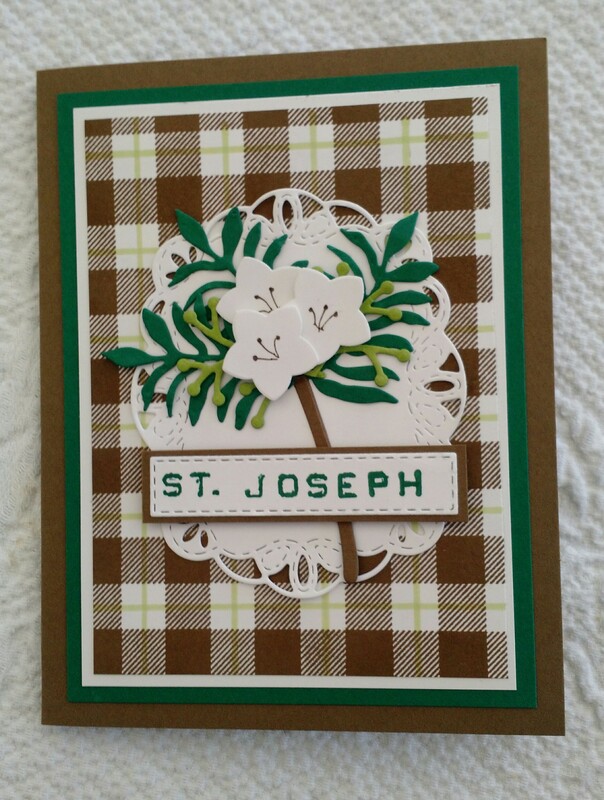 On the inside it says “Happy St. Patrick’s Day” and I wrote “May the luck of the Irish and the blessings of God be with you always!” in order to turn the “Good Luck” sentiment into a St. Patrick’s Day card. : ) I used the “Amazing Life” stamp set and a die from the Wonderful Floral Romance Framelits Dies. Here’s view of Sugarloaf Mountain, a huge ski destination here in Maine, before we snowshoed into the woods. It was a gorgeous day! Happy St. Patrick’s Day on Sunday! 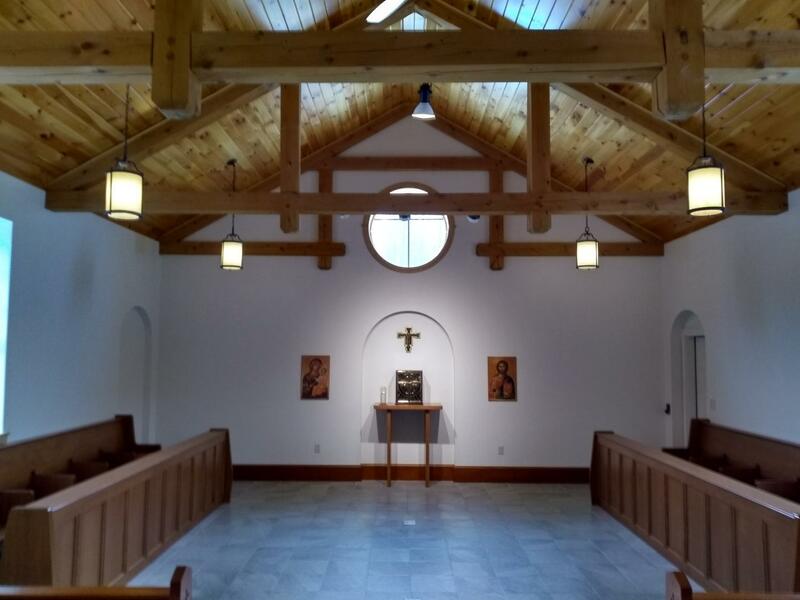 Lent begins in just two days, on Ash Wednesday. We’ve been planning the things we are going to give up as we go “into the desert” for 40 days, as well as things we are going to do. I found a great planning sheet to help plan one cleaning project a day so that the whole house is clean for Easter. If you need it, I can email it to you! 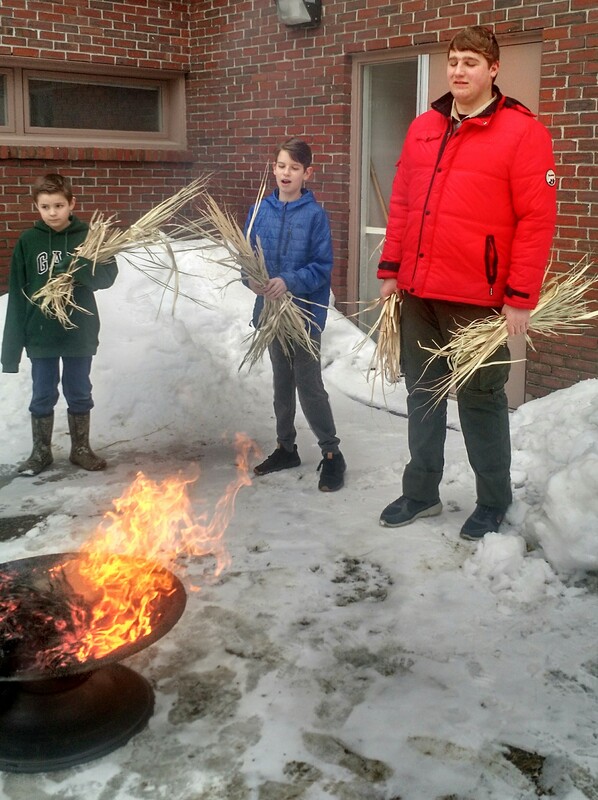 Hope you have a fruitful Lent, if it is part of your faith tradition. Happy 6th Stampin’ Up! Birthday! 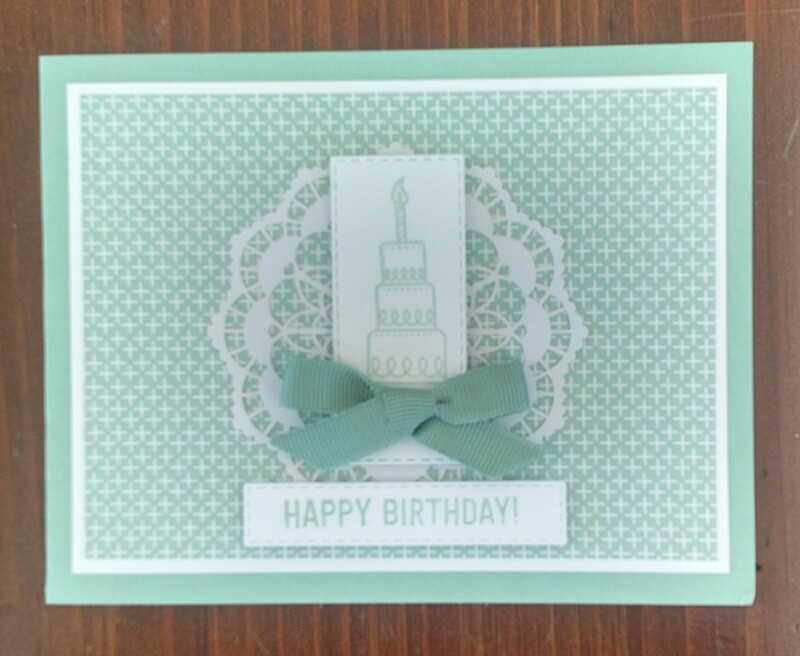 My 6th Birthday with Stampin’ Up! is this month, and what better gift than three new team members!!! A warm welcome to Nancy, Marti and Gloria! ❤ And welcome to all who have joined our blog family this past month! Hope you have a great weekend with some stamping fun!